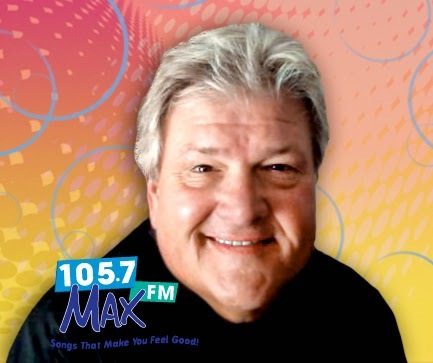 San Diego, CA, October 30, 2014 – Broadcast Company of the Americas is excited to welcome legendary morning personality Jack Murphy to the Brand New 105.7 MAX-FM morning show. Murphy joins San Diego market veteran Kim Morrison for the new “MAX Morning Show with Murphy and Kim,” which will hit the air Monday, November 17th. Jack Murphy has always been a broadcaster. From the first time he got behind a microphone at age 14, he knew radio was for him. From a 500 watt day timer in his hometown to the morning show at America's most listened to radio station Z-100 in New York. His career has taken him to some of America's great radio stations, including KKLQ (Q106) in San Diego WZGC, WSTR, and WSB-FM in Atlanta, WWSH Philadelphia, KHYI Dallas, WCCO Minneapolis, WROQ Charlotte, and for over 20 years Murphy hosted the Triad’s consistently #1 rated morning show on WKZL Greensboro. Along the way, Jack founded Murphy's Kids a 501-C Non Profit which has raised over a million dollars for at risk Kids. Murphy's Kids has bought iPads and Service Dogs for Autistic Children, sent low income elementary students on educational field trips, bought food for hungry children, and provided Christmas for children whose parents were sick or had been unemployed for months. Mike Shepard, BCA Radio’s Programming-Operations Manager shared “I'm thrilled to welcome Jack Murphy as host of the new MAX Morning Show with ‘Murphy and Kim.’ I respect Murphy's talent so much I managed to get him hired out of San Diego back in the 90’s because he was such a fierce competitor. Jack is a true entertainer who develops fans, not just listeners. I know that he and Kim will offer San Diego a fresh, fun, and interactive entertaining morning show. I couldn't be more excited!" “Great local talent engaging with San Diegans every morning is what continues to drive successful radio. Murphy and Kim along with your favorite ‘MAX music’ will be a great way to start your day,” adds President and Market Manager, Mike Glickenhaus. Diego, a sales partnership with KPRI 102.1 FM. I enjoyed Jack's show when he was with wkzl in Greensboro. I never could figure out why they dismissed him. His show was one of the best. I would like to know what time (eastern) his show begins. Jack Murphy has already moved on. He is not currently on the air.